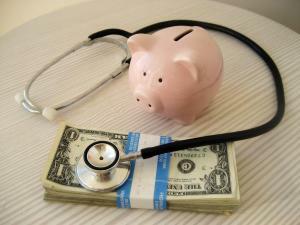 Controlling healthcare costs is an on-going discussion among providers. And no one disagrees the costs need to be controlled in order to continue to meet medical practice obligations. But do you know what you direct and indirect costs are? Do you have a clear way of calculating your monthly expenses and seeing where your opportunities to cut costs really lie? Most practices take for granted the amount of paper they use to copy forms, to print screens, and for notes in the system to prompt follow-up. Do you know what it is costing the practice to collect? For every dollar collected, there is a cost to that collection. Do you know what it is? Many practices believe that this cost is an investment in getting paid and it is, but by simply calculating what your monthly costs are you may find that these costs are higher than you might have expected. What are your IT costs? Hardware and software and even mobile devices can save time and be very helpful, but there is also a cost associated with implementing new technologies. Knowing what your costs are is the first step to reducing cost. Without really understanding what the cost of your daily operations are, cutting costs are simply “guesstimates.” Do you have a clear understanding of what each visit is costing the practice? So where do you begin? Measuring costs takes considerable understanding of your practice. The information needed to begin this process may take some time and effort. How many times per year your practice renders each service offered. Your indirect costs may be rent, general over-head, clerical and office staff not directly associated with patient care and other costs that cannot be directly allocated. This may be a time consuming process and if you don’t have the expertise you may want to invest in someone who knows how to get you started. Hiring a consultant or accountant to help you thoroughly understand this process is a wise investment for your practice. You may know that costs are rising, you may also realize that reimbursements are going down, but without really seeing what your costs are, there is little you can do to change the dynamics. To be clear, the largest cost of the typical practical is people. The cost of the people in your practice is not only salary, but also benefits that are typically about 25% of their salary. Simply cutting people to cut costs may bring you immediate relief from those costs, but may cost you in time, patient care, and things not done or not done properly. This issue is critical to practices. Who are the right people to perform the right jobs that actively contribute to the success of your practice? Who is willing to learn the complexities of IT products and actively monitor them for accuracy and completeness? Who can you count on to run the business of your practice with professionalism, expertise, and compassion? These are the real cost questions. An equation that must be answered by more than the numbers. After you have figured out what costs are necessary and what are not….you can begin to fashion your practice with a clear goal of lean and successful. Both are necessary in today’s healthcare economics. Lin Dworshak has over 20 years’ experience in the healthcare industry. As a Medical Management Services‘ Development Services Specialist , Lin specializes in engaging current medical practices in conversations about healthcare trends, facilitating change and IT developments. Lin has extensive experience in turn-arounds and implementation of IT projects.